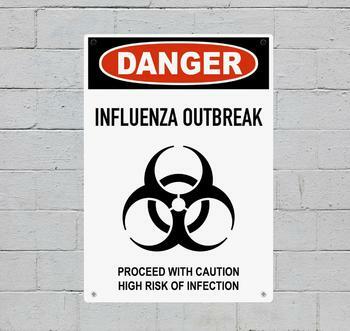 The 2017-2018 flu season is shaping up to be a particularly nasty one. Thirteen children have already died from the flu this season, according to the Centers for Disease Control. Scores of others across the U.S. have been hospitalized due to flu-related complications. Illnesses like the flu tend to spread more rapidly during winter. Medical professionals say no one really knows for sure why the risk of getting sick is greater during winter. However, there are a few good theories that are supported by scientific evidence. In an interview with ConsumerAffairs, Dr. Joseph Ladapo, associate professor of medicine in the division of general internal medicine and health services research at the David Geffen School of Medicine at UCLA, outlined a few key factors. “The major factors seem to be that some viruses are more contagious at colder temperatures, our immune systems may not work as well during the winter when it’s cold, and we spend more time indoors during the winter, so we are more likely to be exposed to indoor air that may already be contaminated with viruses,” he said. Some viruses also have special seasonal patterns, he added. For example, the flu is a big problem in the northern hemisphere during our winter and in the southern hemisphere during their winter, which occurs during our summer. “This pattern has been linked to international airline travel, with people transmitting the virus as they travel from one country or hemisphere to another,” he said. Eating a balanced diet. Eating a well-balanced diet -- particularly with lots of vegetables and fruits and other whole foods -- can help prevent illness, he said. Getting plenty of zinc. Minerals like Zinc can also help, Ladapo said. There’s some evidence suggesting that zinc helps ward off flu symptoms, but people should be aware of the risks associated with zinc toxicity. Washing your hands frequently. Hand contact is one of the major ways that cold viruses are transmitted, so be diligent about hand hygiene and careful about what surfaces you touch. Avoiding contact with infected individuals. If possible, avoid contact with those who are sick. Click here for tips on how to stay healthy when a family member has the flu. If you still get sick despite your best efforts to stay healthy, there are a few steps you can take to help expedite the road to recovery. Ladapo says that taking medications like Tylenol ibuprofen, decongestants, and intranasal cromolyn have been shown to help. “Most of what we know to be effective for reducing symptoms requires taking a medication. Many people don’t want to do this, but unfortunately, there are not a lot of other options,” Ladapo said. Scientific evidence for alternative treatment choices like vitamin C and Echinacea haven’t been as consistent, so he doesn’t usually recommend them. However, he doesn’t dissuade patients from trying them either. “It may work for some people,” he said, adding that getting enough rest is also important.